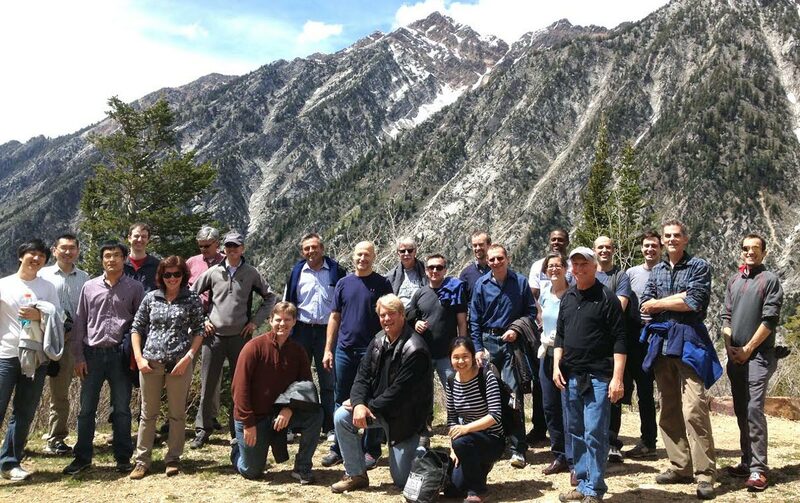 The members of the Nanostructures for Electrical Energy Storage, a DOE Energy Frontier Research Center, took some time out from discussing problems in nanoscale physics, chemistry, material composition and battery construction to enjoy a hike in the Rocky Mountains near Salt Lake City. 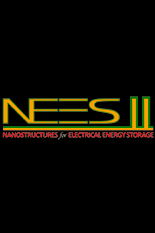 The group met to showcase accomplishments, share progress and determine useful directions in nanoscale electrical energy storage at Snowbird Resort, Utah. As well as enjoying the Rockies on a hike on the last day of the meeting, the group seriously delved into the problems of degradation of battery components, mesoarchitectures and their science, and solid-state battery issues. John Hemminger, of the University of California, Irvine, the chair of the External Advisory Board that leads the group's direction, kicked off the meeting with an investigation into an issue in interface science,"Probing Molecular Solvation and Chemistry at the Liquid/Vapor Interface of Aqueous Solutions via XPS of Liquid‐Jets and MD Simulations." Hemminger‘s group uses synchrotrons at LBL and in Berlin to vary the strength of x-rays to penetrate different depths of an aqueous solution just at the point that it turns to vapor, in order to discover underlying details of each depth's chemistry and composition. The group visited three topics in depth during the retreat: Tortuosity & Ionics on Mesoporous Architecture, Nanostructure Degradation, and Solid State Storage & Interphases. For each of these Special Sessions, the moderator introduced the topic under discussion with a brief background overview and two 15-min technical research presentations given by either the graduate students or principal investigators. The strength of the NEES EFRC is that its members, though distributed all over the country, can come together to compare notes and exchange techniques and ideas. Four graduate students new to the NEES project gave presentations in their research specialty that contributes significantly toward NEES' overall goals in its second phase. Two NEES PIs from Sandia National Laboratories on Solid State Energy Storage wrapped up the workshop. Eleanor Gillette (UMD) "Controlled 3D Porous Nanostructures: Challenges and Opportunities for Mesoscale Electrochemistry"
Tim Plett (UCI) "Direct Measurement of Ionic Conductivity by Way of Nanoconfinement"
Mya Le Thai (UCI): "In Situ Electrical Conductivity as a Function of X and Size"
Wentao Song (UMD) "Early-stage SEI Formation: Probing Molecular Carbonate Decomposition Pathways and Artificial Ethylene EDC Monolayers"
PI Speaker A. Alec Taliin (SNL-CA) "The Challenge of 3D All Solid State Li-ion Battery"
PI Speaker Kevin Leung (SNL-NM) "What is "Voltage" in Solid-film-coated Battery Electrodes at Atomic Lengthscales and Why We Care"